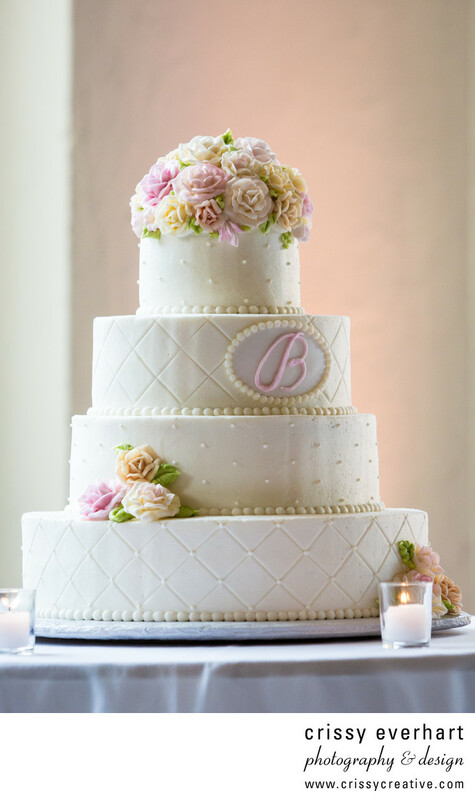 Ivory wedding cake with B for couple's last name and flowers on top. There are four tiers and two alternating patterns on the cake. Location: 3502 Scotts Lane, Philadelphia, PA 19129.